BMW 6 Series Convertible Review 2019 | What Car? 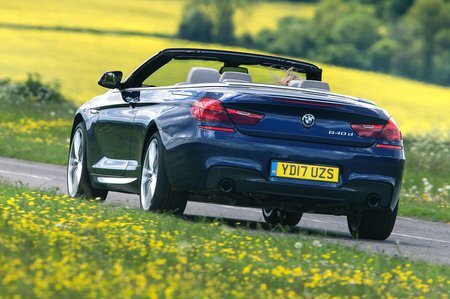 The BMW 6 Series Convertible is without doubt one of the more intriguing cars in BMW’s ever-expanding model range. Not only does it continue to sell strongly after being on sale for the best part of a decade, it also happens to exist in a class of one, sitting in its own little spot in the marketplace. Both the Mercedes-Benz E-Class Cabriolet and Audi A5 Cabriolet are far cheaper, while a Mercedes S-Class Cabriolet is a lot pricier. So, depending on how you look at it, the 6 Series Convertible is either great value for money or rather overpriced. But one thing that can’t be disputed is that the 6 Series gets access to some of BMW’s finest engines; there simply isn’t a bad one. Buyers can choose between a pair of straight-sixes or a couple of V8s, and all variants deliver the kind of effortless performance you expect from a grand tourer. 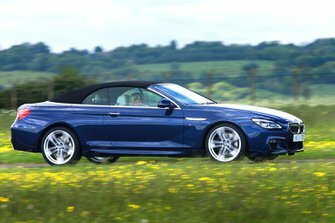 So, to find out if a 6 Series Convertible is for you, keep on reading for our comprehensive review covering driving impressions, interior quality and running costs. And if you do want to buy a 6 Series Convertible, head over to our new car deals page, where you could get a decent discount off the list price.